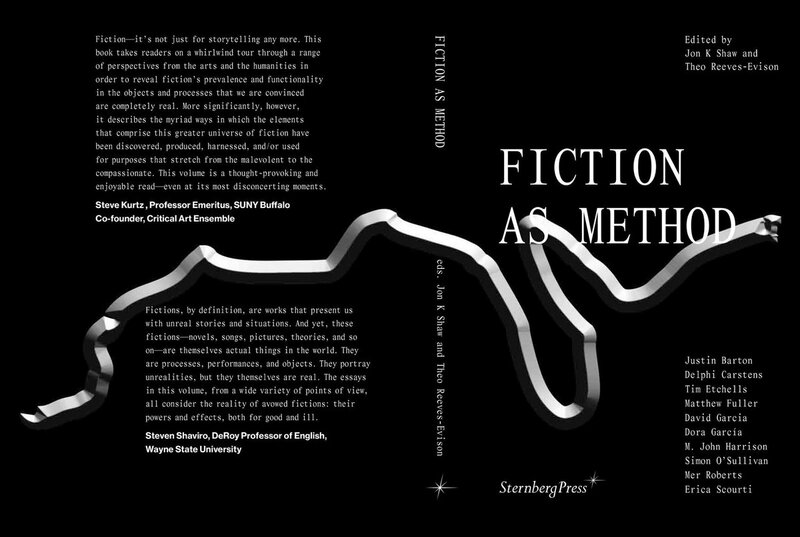 Fiction as Method, Sternberg Press, 2017. When Thomas More’s Utopia was first published in 1516 it was taken so seriously by some members of the church that the possibility of sending missionaries to convert the godless population of the imaginary island was discussed. Even if no missionary set sail, the incident reveals how a fiction might have real and unexpected effects on a world it seemed to distance itself from. Perhaps the effect most readily associated with fiction is a feeling of escape, a flight from this world into another. Yet beyond escapism, fictions are an operative part of everyday life, whether it be in the dark foundations of currencies and nations, or as the founding gesture of movements to freedom, lucidity and the creation of alternatives to what “is”. Approaching fiction as a method allows us to investigate these myths, tricks, possibilities and futures as they manifest in a wide variety of forms – including but not limited to the written word. As such, Fiction as Method will bring authors into dialogue with artists, technologists, theorists and filmmakers in order to explore the diverse ways in which fiction manifests. The aim is to explore the concept through direct and indirect means, ultimately considering how fictions proliferate, take on flesh and come to act in the world.